Fully equipped, Ideal for two families, baby cot. 4 Bedrooms, 3 bathrooms. 3 bedrooms with queen beds, one bedroom with twin beds. Aircon, Fire Place, DSTV. 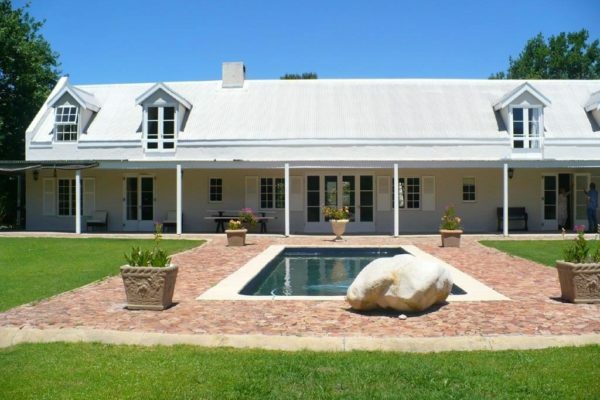 Linen provided but please bring own towels, big patio with braai facilities, lovely garden and pool. Wood included. No Pets. Poplar House is a spacious 4 bedroom /3 bathroom, tastefully furnished cottage, with open plan living areas, situated walking distance from the centre of the village. 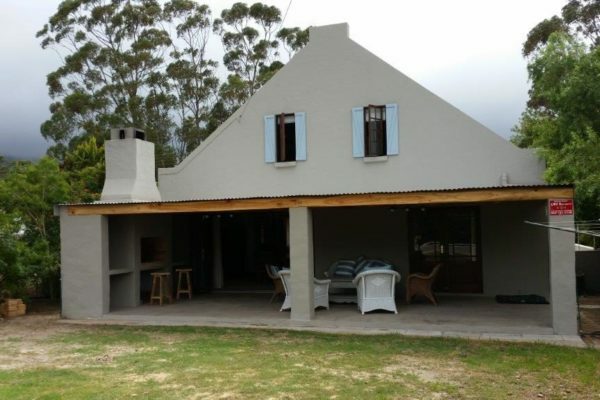 The cottage is fully equipped with modern amenities and stylish furniture. Heritage B&B a Boutique is one of the oldest buildings in this little town and has been restored into a chic country hideaway. Beautifully re-honed sash windows soak up the views of the mountains from all rooms, comfy sofas in the lounge area for those lazy afternoons, the softest linen and feather pillows in bedrooms overlooking the lush, well manicured garden and swimming pool area. 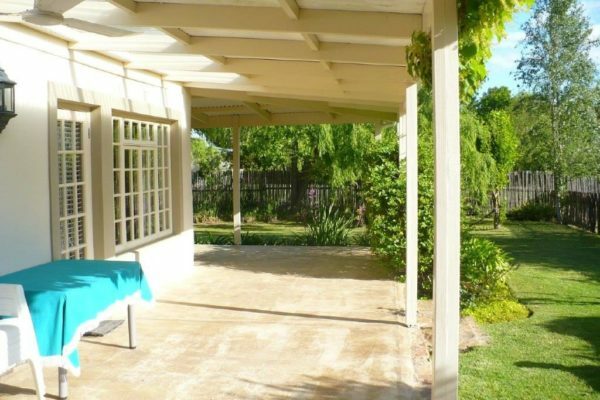 The Views is the ideal family home, centrally located, within walking distance to all shops and restaurants. 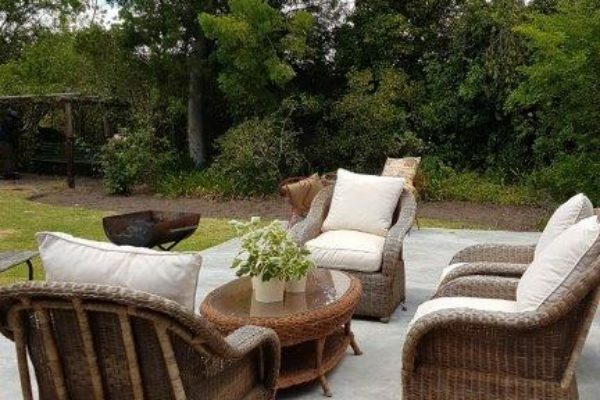 The house is comfortably and cheerfully decorated, set in a big garden with huge pond and beautiful mountain views. 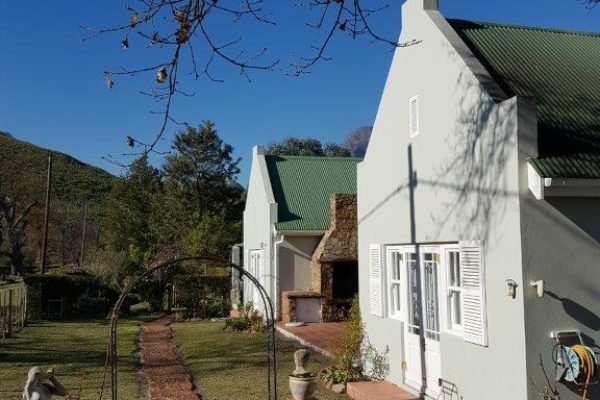 Les Terres Noires is a characteristic, warmly furnished self-catering home, situated on Greyton’s prestigious Vlei Street, next to the Gobos River and the Greyton Nature Reserve, close to scenic hiking trails and bird watching spots. So aptly named, nestled beneath beautiful mountains, this country-style north-facing home is situated alongside the stone entrance to the Greyton Nature Reserve and mouth of the stunning Noupoortkloof gorge, at the commencement point of a multitude of mountain, kloof and waterfall trails, including the famous Boesmanskloof Trail thru’ the mountains from Greyton to McGregor. 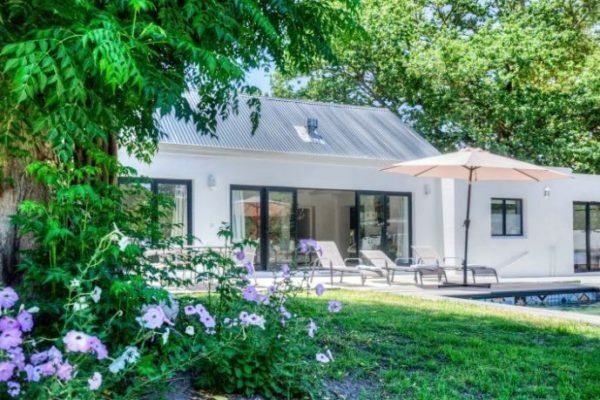 Die Stoep on Vigne is set in a beautiful lush garden with 3 ponds and mountain views where you will feel at home with spacious and comfortably furnished outdoor entertainment areas. The house sleeps 7 guests comfortably in four bedrooms. 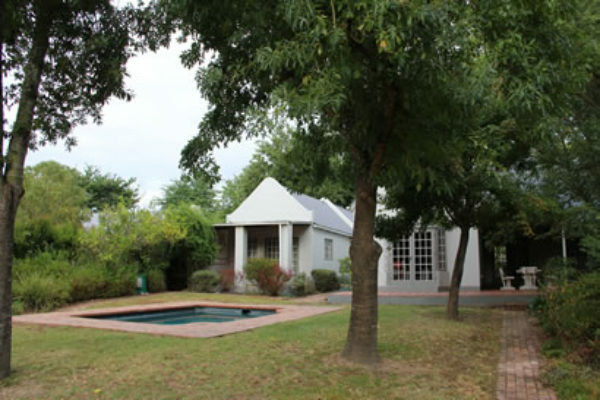 Situated in the beginning of Greyton, you will find this spacious, beautifully renovated 4 bedroom/3 bathroom house set in a lovely big garden of 1800sqm. This house is ideal for guests with children with jungle gym, sandpit, tree house and swing but please take note of two unfenced ponds. 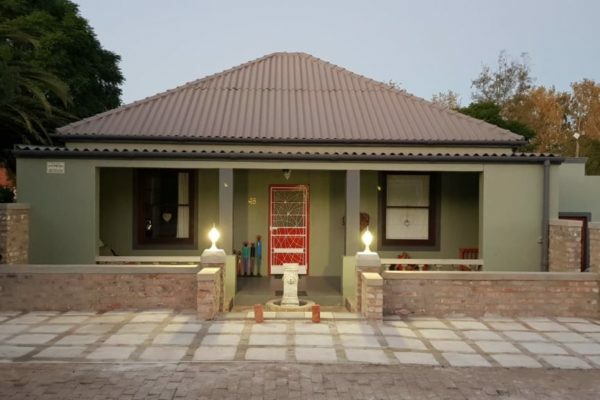 The house has a 3m wide covered verandah on three sides of the house with roof lights and braai facilities.